You can impact the lives of local patients at this important event. 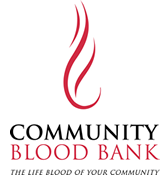 Give blood at this event to make a difference in the Thanksgiving weekend blood supply. Join in and save lives in Tracy, MN. Your gift will go directly to impacting lives at Sanford Tracy. Join this opportunity to save lives through November, just before the Thanksgiving holiday. Join us to save lives in our community, give blood.